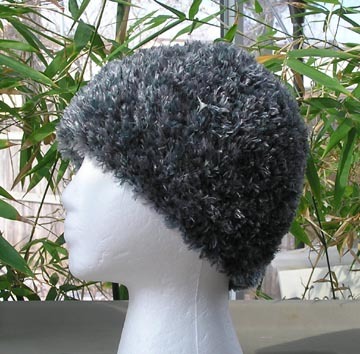 This custom skullcap style hat is made with Bernat Boa Silver Fox faux fur yarn. 100% polyester. 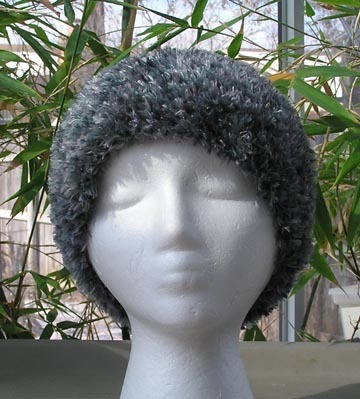 This hat shimmers with silver in changing light.